Experienced plumbers typically use 5000 PSI machines for drain clearing which can clear drains 40 metres long from one access point. These units are independently powered with truck mounted petrol engines which means all they will need is a water connection to a garden hose tap to get your drains cleared fast. 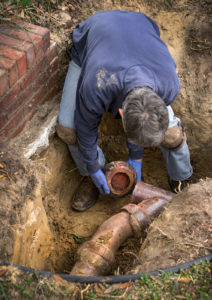 Drain clearing can be nasty at the best of times but our recommended plumbers will always clean up before they leave and disinfect any problem areas. Difficult Access or Don’t like too much noise… No Problems! Ask your plumber about having a Camera Survey undertaken if you have recurring problems with your drains and want the problem fixed properly.